Our partners are universities, NGO’s and companies. With our international partners we develop and validate new GraphoLearn language versions in several countries. GraphoWorld is the Working Group on Reading and Language Development Network of Excellence. It was established in Helsinki, Finland in November 2010. 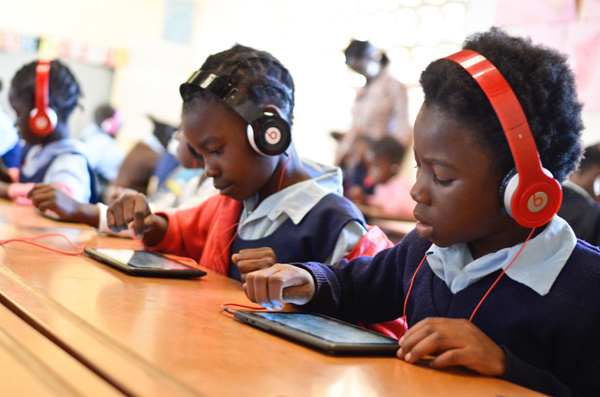 The Mission of the Network is to provide technology-enhanced support of spoken and written language development among typical and atypical learners. This includes both research and implementation of new knowledge and technology providing the support. Their Vision is a network among universities with the most well informed experts of spoken and written language acquisition to accomplish the Mission. The objective of the GraphoWorld NoE is to provide non-profit technology-enhanced support as widely as possible to all learners globally, however, with a special emphasis on countries where access to literacy education is limited. See GraphoWorld’s Declaration. The members of the Steering Committee of GraphoWorld NoE are the following: Professor Usha Goswami (University of Cambridge, UK), Elena Grigorenko (Yale University, US & Moscow State University, Russia), Malt Joshi (Texas A&M University, US), Heikki Lyytinen (University of Jyväskylä) and Ken Pugh (Haskins laboratories, US). The Grapho Learning Initiative aims to assist millions of children to learn to read in their local language with the help of technology and knowhow of the most well informed experts of reading acquisition in the world. The Grapho Learning Initiative was launched in 2011 by University of Jyväskylä and Niilo Mäki Institute. Since literacy is the key to all further education, we aim to give assistance to children to make progress in their lives. International agreements such as Convention on the Rights of the Child (CRC), UNESCO Education for All (EFA) and UN Millennium Development Goal (MDG) of universal access of primary education, which guide the international and national policies on education, recognize that education is the way to national development and poverty reduction. Also, literacy is an important driver for global change. Several language versions of GraphoLearn have been developed for research purposes in collaboration projects with our partners. The validation studies are published in peer-reviewed scientific journals. GraphoLearn was originally designed in Finland to help children learn letter- sound correspondences. The EU funded a large-scale cross-linguistic investigation of GraphoLearn was done in in Finland, Switzerland, Holland and Britain. In Finland the Niilo Mäki Institute currently provides learning games for children as a web-based LukiMat.fi -service for learning difficulties, especially in reading and mathematics. The service is available for all children in Finland in Finnish and Swedish languages. The countries in which GraphoLearn has been or are being used for research activities so far: Austria (Austrian German), Belgium (Flemish), Cyprus (Greek), Greece (Greek), Greenland (Greenlandic), Estonia (Estonian), Finland (Finnish, Finnish Swedish, Finnish as L2/FL, British English as L2/FL), France (French), Hungary (Hungarian), Ireland (Irish English), The Netherlands (Dutch), Norway (Norwegian), Poland (Polish), Portugal (Portuguese), Sweden (Swedish), Switzerland (Swiss German), United Kingdom (British English) and Greenland (Greenlandic). The countries in which GraphoLearn has been or are being used for research activities so far: Kenya (Kiswahili and Kikuyu), Namibia (Afrikaans), Tansania (Kiswahili), and Zambia (Nyanja and Tonga). With our long term Partner, University of Zambia, we have founded The CAPOLSA Centre for Promotion of Literacy in Sub-Saharan Africa. See: GraphoLearn operations in Africa. School-to School International (2017). GraphoGame Teacher Training Service (End-of-Project Report). Retrieved from All Children Reading: A Grand Challenge for Development website. Our GraphoLearn research team is working with our US Partners to develop new technologies in speech recognition. In Chile we have recently published results from our validation study. The countries in which GraphoLearn has been or are being used for research activities so far: Brazil (Brazilian Portuguese), Canada (Canadian English), Chile (Chilean Spanish), Peru (Peruvian Spanish), and USA (American English and US Spanish). The countries in which GraphoLearn has been or are being used for research activities so far: India (British English as L2/FL, Indonesia (Indonesian), Singapore (British English as L2/FL), China (Pinyin and Mandarin), Taiwan (Zhuyin). Special thanks goes to the past and present funding partners for the international activities of GraphoLearn team in Finland: Academy of Finland, Fondation Botnar, EC: FP6- Marie Curie Excellence Grants, FP7-Marie Curie IRSES, FP7- EACEA Comenius, Ministry of Foreign Affairs of Finland, the Finnish Funding Agency of Technology and Innovation (Tekes). To support and join our mission, please contact us.